The goal of the Bamboo Bike Project is to test the feasibility of implementing bamboo bikes as a new form of transportation in Africa. 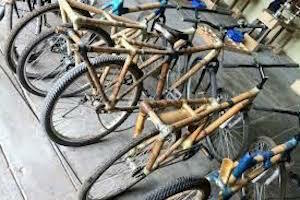 There are several advantages to making bicycles out of bamboo. Since bamboo is grown locally in Africa, and the manufacturing of bamboo bicycle frames does not require extensive infrastructure (or even electricity), bamboo bicycles have the potential to be a sustainable business that provides local employment even in areas disconnected from power and other facilities. If power and modern tools are available, the production of bamboo bicycles can increase. Bicycle design could easily evolve through local innovations and a variety of bicycles could be designed for different terrains and purposes. As the local people gain skills in building bamboo bicycles, they will have acquired translatable skills for building other types of vehicles.